Today, I attended an incredible 8-hour professional development course presented by the Library of Congress in conjunction with the University of Northern Colorado. Due to a number of pressing circumstances, there was great temptation to stay home. I am so glad I didn’t! My mind is pleasantly full, my heart is ready to approach another week of students, and my hands will certainly be busy for weeks navigating through the digital catacombs of the Library of Congress. Erin Hunt, the instructor, did an wonderful job sharing the vast Library of Congress website, introducing teaching ideas using primary sources, and exploring copyright issues. My favorite part of the class was exploring the “American Memory” Exhibition. One valuable thing I learned was that you can view a photograph, and then display images with neighboring call numbers. This will often show other photos taken in the same town or of the same family, which help to give context to photographic images. It was interesting to see the images surrounding the famous “Migrant Mother” photo by Dorthea Lange. I also learned about the availability of maps and high resolution images which can be printed from the Library of Congress to use on classroom walls, etc. Additionally, there was information on inquiry-based teaching and the 21st Century learner. I’m looking forward to completing one of the three projects assigned in order to receive graduate credit, and to incorporating the lesson ideas with 3rd-5th graders in the computer lab over the coming months. 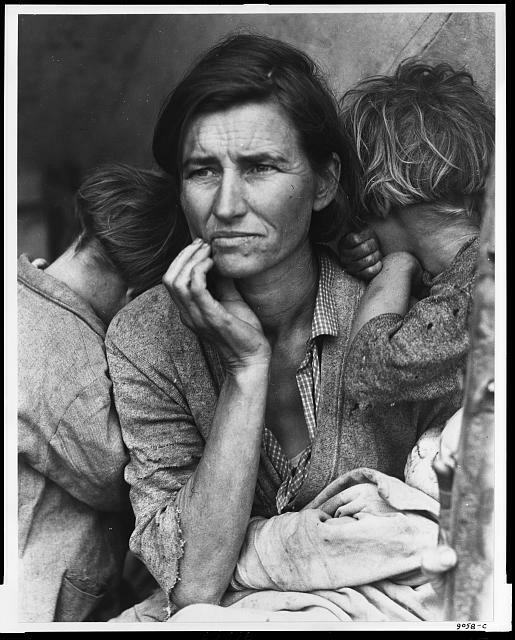 "Teaching with Primary Sources: Essentials Exploration"